All posts tagged "2018 Commonwealth Games"
England's Women took silver at the Commonwealth Games after falling to a 99-55 defeat against Australia in Saturday's final, in Gold Coast. England will play for at least silver at the Commonwealth Games after beating Canada 65-53 in the semi-finals, on Friday morning. 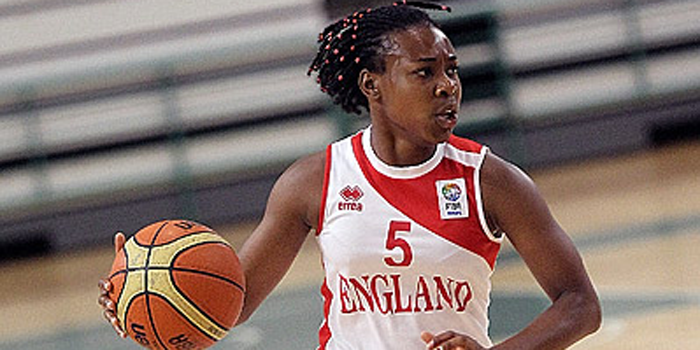 England produced a convincing 62-40 victory against Jamaica to advance to the semi-finals at the Commonwealth Games, on Tuesday. England's Women secured a convincing 78-51 victory over Mozambique to earn their first win at the 2018 Commonwealth Games, in Townsville on Sunday morning. Team England have confirmed their final Senior Women's squad of 12 ahead of the upcoming Commonwealth Games. England’s Women now know who they will face at the 2018 Commonwealth Games after the seedings and pools were announced for next year's tournament.